In the opening chapter of Polyester: Synthesis, Types and Applications, the authors provide the synthesis, structure, properties and applications of thermoplastic copolyester elastomers. Thermoplastic copolyester elastomers belong to the class of thermoplastic elastomers which combine mechanical properties of chemically crosslinked elastomers with those of thermoplastics. Due to their high performance, an extensive section on mechanical, thermal and chemical properties is presented. The recent development of materials such as nanocomposites and blends, as well as biodegradable thermoplastic copolyester elastomers, are also addressed. 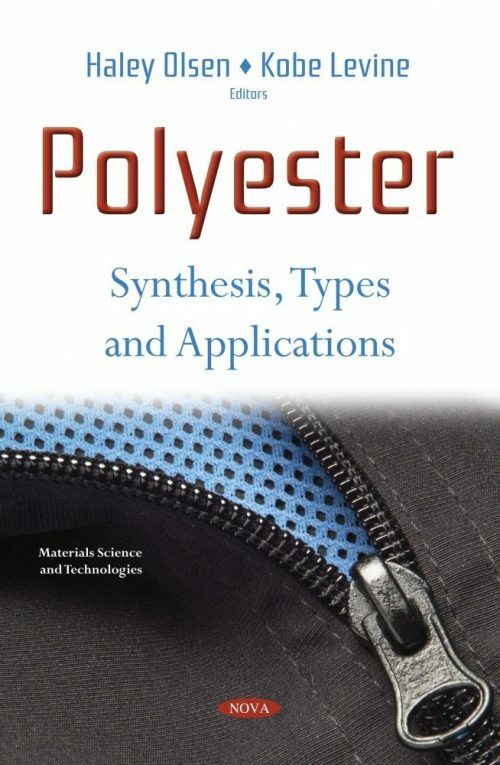 Next, the book chapter gives an overview on the natural and synthetic polyesters that are used in different medical fields for bonding, as closures, for separation, scaffolds, capsulation, as drug deliverers, and for prostheses. The authors summarize the historical background of the polyesters, explain the meaning of the biodegradation, and shortly characterize the most interesting polyesters from the point of view of their synthesis and medical application possibilities. The authors examine classical melt polycondensation, an old synthetic method which is difficult to handle and high-energy consuming. The polyesters obtained lack pendant functionalities, which restricts applicability in a range of practices. The new trends for overcoming this drawback with biobased polyesters are highlighted. In the concluding study, cost-effective nanostructured polyester was engineered infusing carbon nanofibers. The sonication dispersion technique was employed to infuse 0.1-0.4 wt% CNF into polyester matrix to enhance mechanical properties of resulting nanocomposites. The effect of dispersion conditions was investigated as a function of CNF content and the sonication time.